During my teenage years I serious over-plucked my eye brows. 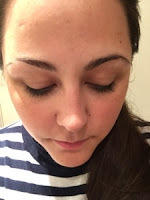 Since Cara Delevinge graced the catwalk and created an nationwide obsession with the perfectly shaped, natural looking brow I've been trying to grow mine back. Luckily most of the hair has recovered, although I've been left with sparse patches which means I've been pencilling them in to give the illusion of a perfect arch and square beginning. 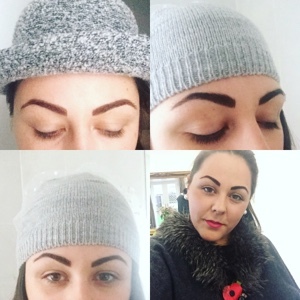 Eyebrows are a big topic in my family, with my sister being a brow expert after working for Benefit and Laura Mercier, and my whole family have lovely, thick brows. 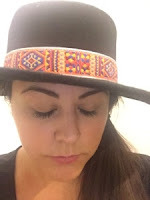 Wanting to add definition, a friend recommend I meet El Truchan, a permanent make-up specialist based in Harley Street and Holborn, who specialised is Hairstoke Brows. 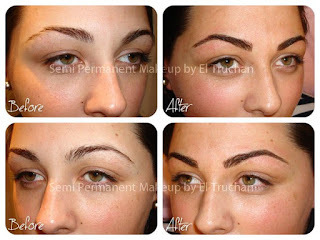 This treatment involves tattooing imitation hair with a natural semi-permanent pigment to look like natural brow hairs. 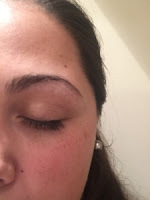 The treatment thickens and shapes the already existing brow and also stimulates growth on sparse areas. 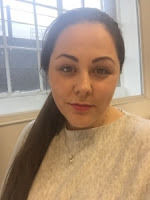 After stalking her Instagram and discovering she trained with the Nouveau Contour Academy, I made an appointment for a consultation but didn't really know what to expect, so decided to write a blog to outline the experience for anyone else interested in the procedure. 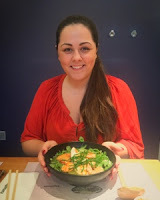 I met El at her Holborn treatment room after work and she instantly put me at ease with her laid back attitude and friendly personality. She talked me through the treatment whilst I filled out what seemed to be a never ending supply of medical forms, and after she checked everything was OK I started to explain the shape I wanted. After showing numerous screen shots on my phone, El starting measuring the design on my face based on my features. She drew the design with a black pencil for me to check before she started, and I honestly thought I'd have to tweak the shape (I told myself before going to make sure I was 100% happy and to not hold back), but El had magically drawn exactly what I wanted! Together we chose a shade of brown to match my natural hair colour, and then it was time to lay back and relax. 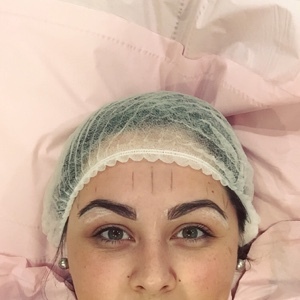 After applying anaesthetic cream to my brows, El opened the first of two needles - the first one is a larger needle that makes bigger strokes, whilst the second needle is finer to draw on the 'finishing touches'. I was really worried the needles would hurt, but was surprised to find it slightly stung (a bit like getting scratched by a cat) but was totally manageable. And after she finished an initial sketch on each brow she topped up the cream which then fully numbed the area. In total I think El went over each brow twice with the first needle, and then again with the finer needle to add smaller details. It took around an hour and a half, and I got to peek in the mirror half way through. After the treatment I couldn't have been happier! They looked super dark but El reassured me that the pigment would fade over the next few days. She talked me through the healing process, which in total takes 28 days, and gave me a balm to apply to help them heal. The next day my brows were sore, but as long as I didn't touch them they weren't uncomfortable. The following day the pain had worn off, and they looked fantastic - I received SO many complements from my co-workers. The picture above shows how they looked two and three days after the treatment. On the fourth day I started to develop little scabs which were super itchy. El warned me not to touch them as if I picked them off it can remove the pigment in my skin, so I resisted temptation and slavered on more balm. A week after and the scabs and dry skin had peeled, but I was horrified to see most of the hair strokes El had applied had disappeared! 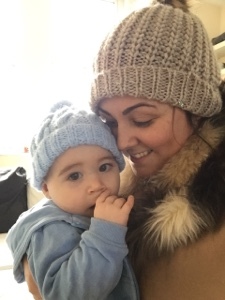 She warned me that baby skin would grow on top of the pigment and therefore they wouldn't be visible to the human eye, but I didn't believe they'd completely disappear! After a few frantic emails and numerous pictures, El reassured me that everything seemed fine and that the pigment would re-appear soon. It's not been almost 4 weeks since the treatment and the pigment is finally starting to reappear. The above pictures were taken this week, and baring in mind I have foundation on and no brow make-up, my eyebrows look super defined. 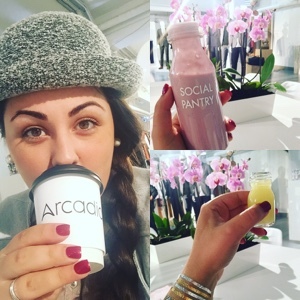 I have to say It took a while to get used to my new facial feature - I actually had dark, arched eyebrows even straight after the bath! I was really worried my boyfriend wouldn't like them too, but he said because they look natural he prefers them to the block colour I used to draw on. I'm booked in for a touch-up during early December when the healing process will start again, but after that my brows will be framing my face for 12-18 months until my next touch up. If you are considering having permanent brows done then El is your lady! 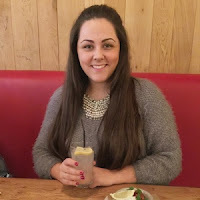 She created me an incredible individual style, and having looked through her previous client's pictures she's managed to create so many different shapes to suit each person's features and personality. I'll post another update after my touch-up to show the end results, so keep your eyes peeled around Christmas time, but the above pictures are of my eyebrows yesterday and today, make-up free and looking fierce.